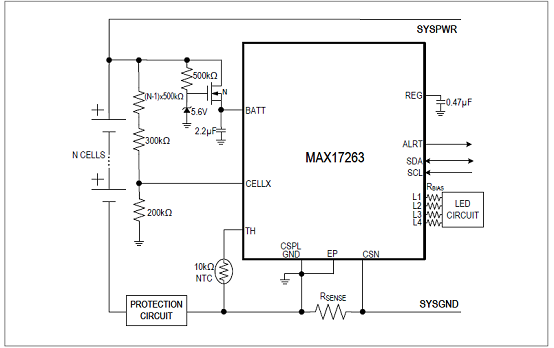 The MAX17263 is an ultra-low power fuel-gauge IC whichimplements the Maxim ModelGauge™ m5 algorithm. TheIC monitors either a single cell battery pack or multiple-seriescell battery pack with an external resistor divider. 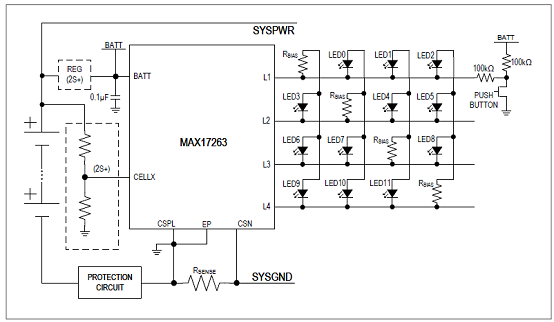 TheIC drives 3 to 12 automatically-counted LEDs to indicatebattery state-of-charge on a push-button press, or any othersystem status using I2C commands. 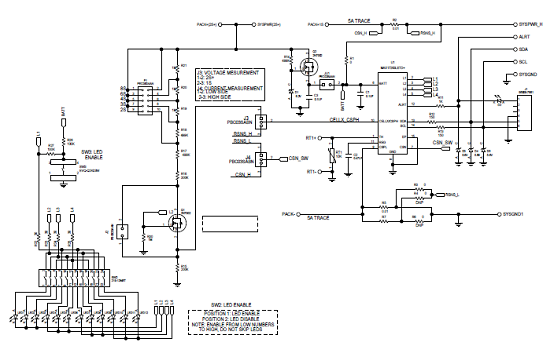 The ModelGauge m5 EZ algorithm makes fuel gauge implementationeasy by eliminating battery characterizationrequirements and simplifying host software interaction.The algorithm provides tolerance against battery diversityfor most lithium batteries and applications. The algorithm combines the short-term accuracy and linearityof a coulomb counter with the long-term stability ofa voltage-based fuel gauge, along with temperature compensationto provide industry-leading fuel-gauge accuracy. The IC automatically compensates for cell-aging, temperature,and discharge rate, and provides accurate stateof-charge (SOC) in percentage (%) and remaining capacityin milliampere-hours (mAh) over a wide range of operatingconditions. As the battery approaches the critical regionnear empty, the algorithm invokes a special correction mechanism that eliminates any error. The IC providesaccurate estimation of time-to-empty and time-to-full andprovides three methods for reporting the age of the battery:reduction in capacity, increase in battery resistance,and cycle odometer. 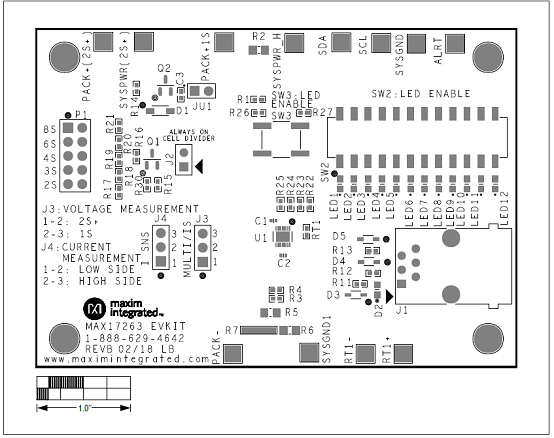 The IC provides precision measurements of current, voltage,and temperature. The temperature of the batterypack is measured using an internal temperature sensor or external thermistor. 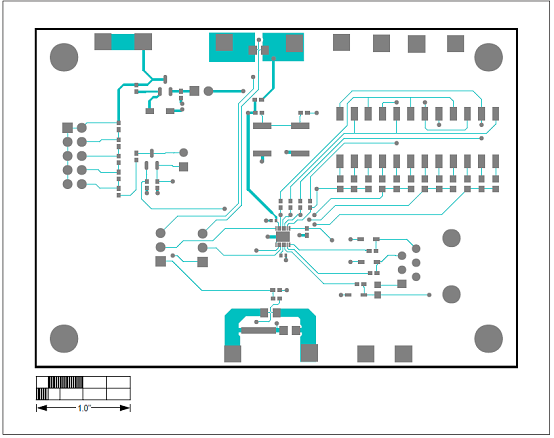 A 2-wire I2C interface provides accessto data and control registers. 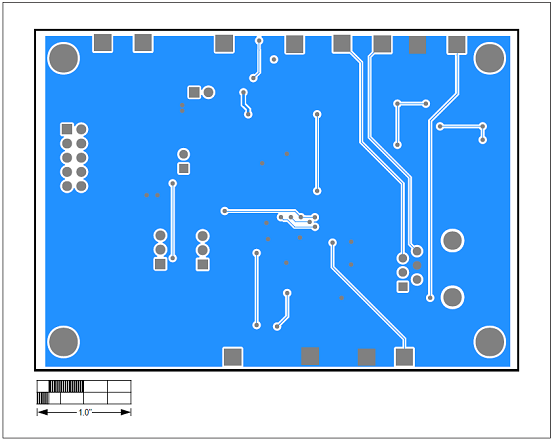 The IC is available in a 3mmx 3mm 14-pin TDFN package. 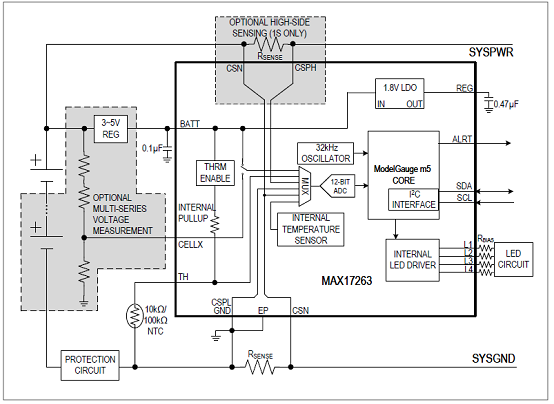 The MAX17263G evaluation kit (EV kit) is a fully assem­bled and tested surface-mount PCB that evaluates the stand-alone ModelGauge™ m5 host-side fuel-gauge ICs for lithium-ion (Li+) batteries in handheld and portable equipment. 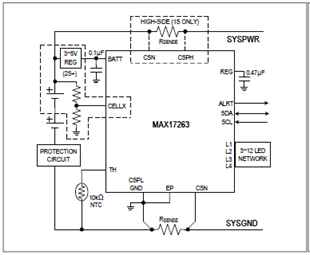 The MAX17263G EV kit includes the Maxim DS91230+ USB interface, IC evaluation board, and RJ-11 con­nection cable. Windows®-based graphical user inter­face (GUI) software is available for use with the EV kit and can be downloaded from Maxim’s website at www.maximintegrated.com/products/MAX17263 (under the Design Resources tab). 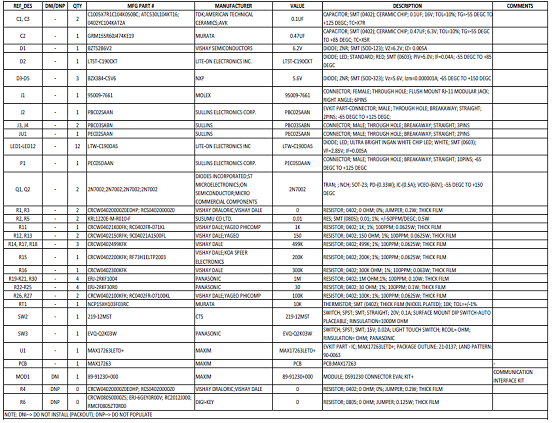 Windows 7 or newer Windows operating system is required to use with the EV kit GUI software.